The jig keeps stay horizontally by getting ” a pause” from jerking and falls from the head. 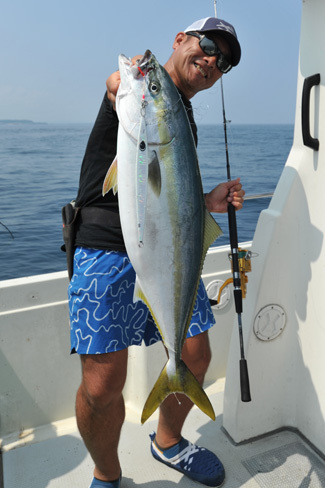 Kingfish or Yellowtail which go after and try to eat the jig stimulate their appetite when they see “a pause”. The falling posture is just like that a bait which runs away after getting to be vertical and then slides and falls from the head. 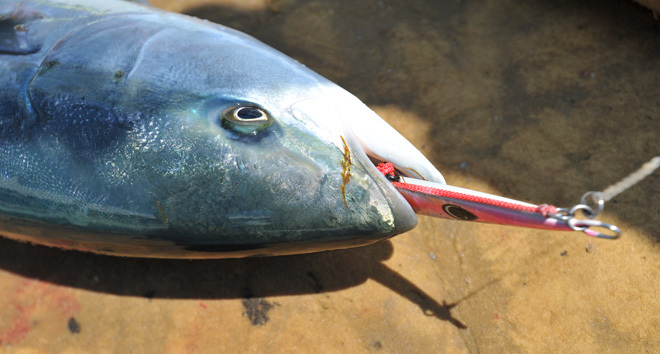 The jig “Gummy” lets Kingfish or Yellowtail to make using their mouths. 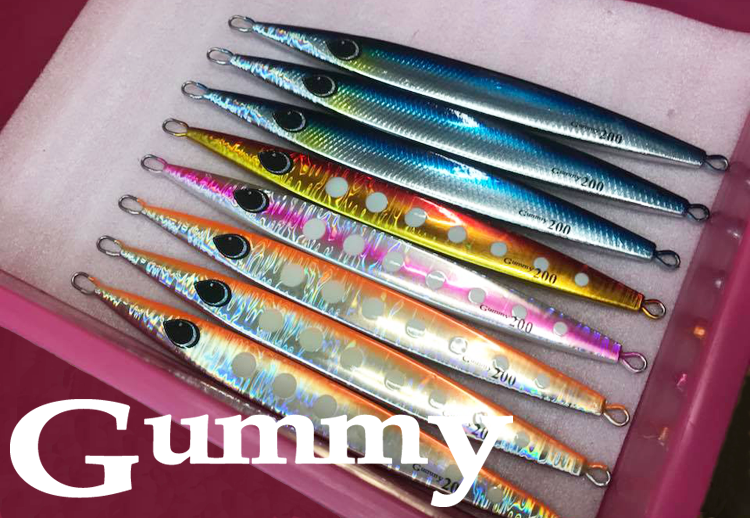 It is high dimension and supersensitive so you can feel that the jig gets stuck by the sea water and imagine the action and the position. 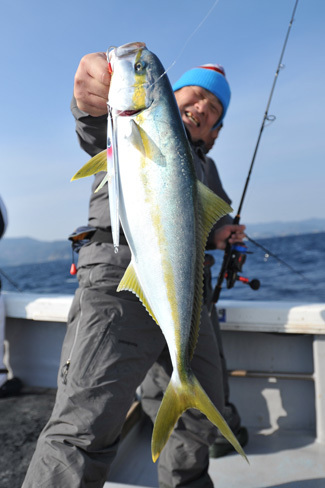 The best fishing result that ever proofed is the metal jig. The most characteristic side edge gets current and the body hovers horizontally like that Squid go after Sardine, Horse macherel and others. Gummy has characteristic round eye. The image of the basic handling is a short jerk action in getting stuck by the sea water. 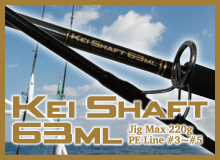 That is pulling the jig by the rod with retrieving the line by the handle of the reel. 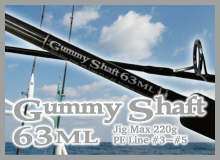 You can take a load on the jig in an angle of bending rod and cause the characteristic waves in the water. 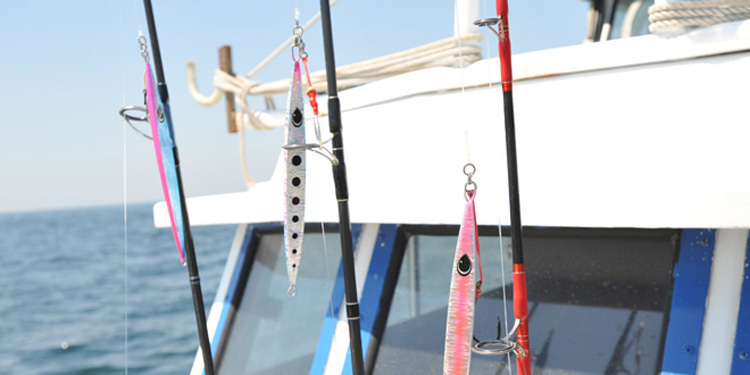 Moreover the most an effective action is “Drift & Fall” which is that under a tough condition let the jig to drift at the bottom to make a fish to “stay and eat around” and fall tempt fish to the jig more closely.